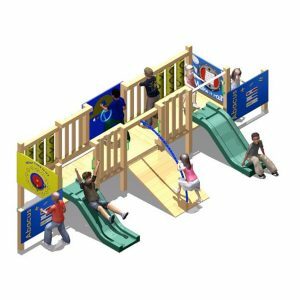 4 x Interactive Activity Panel (OXO, Car Driving, Clock etc). The Toddler Town is safe on grass. 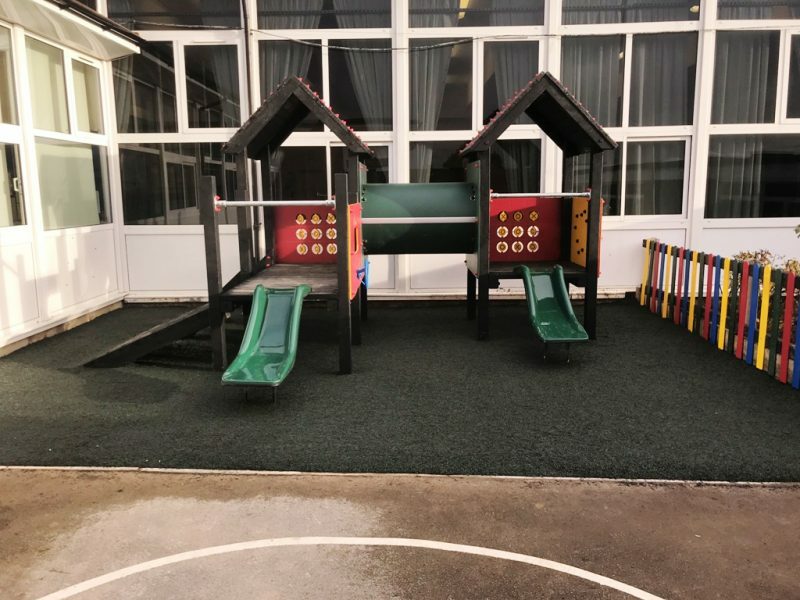 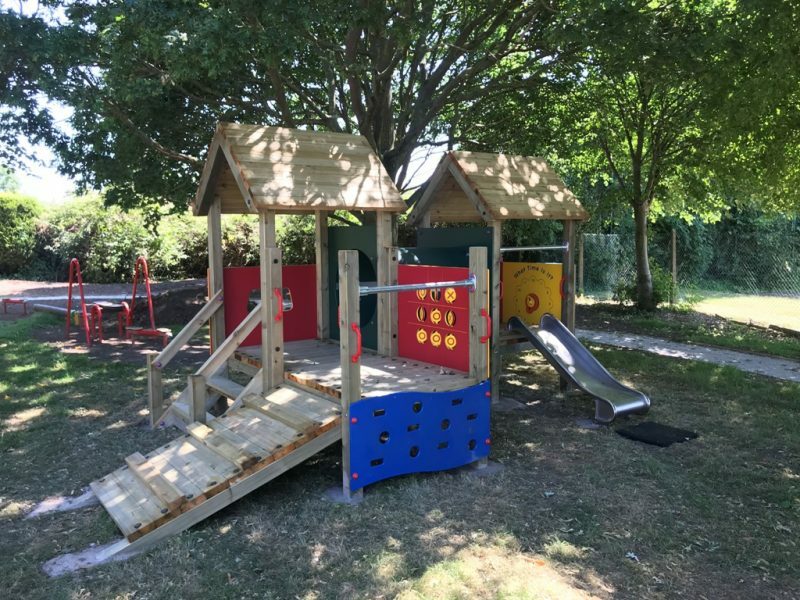 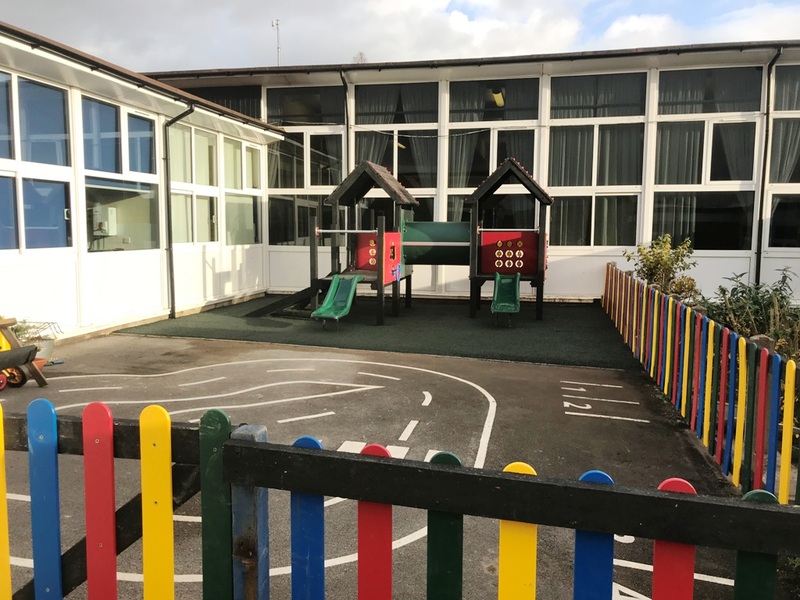 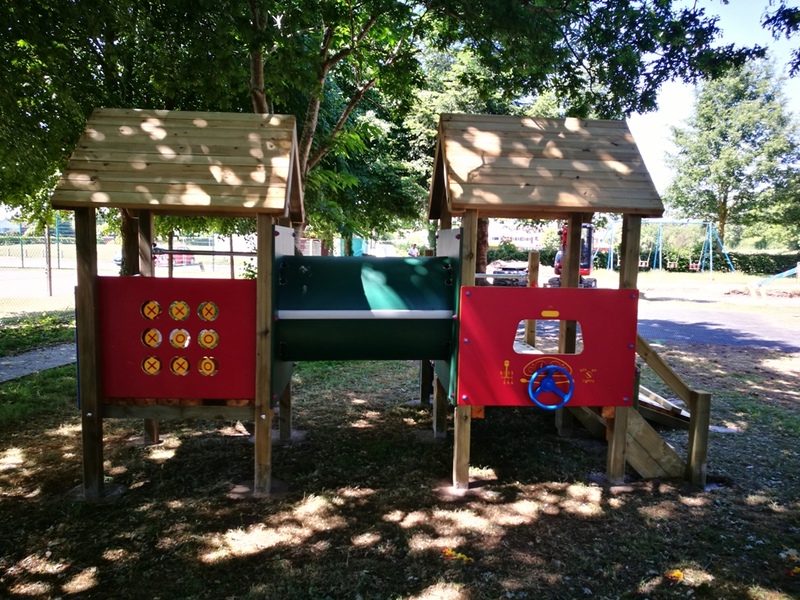 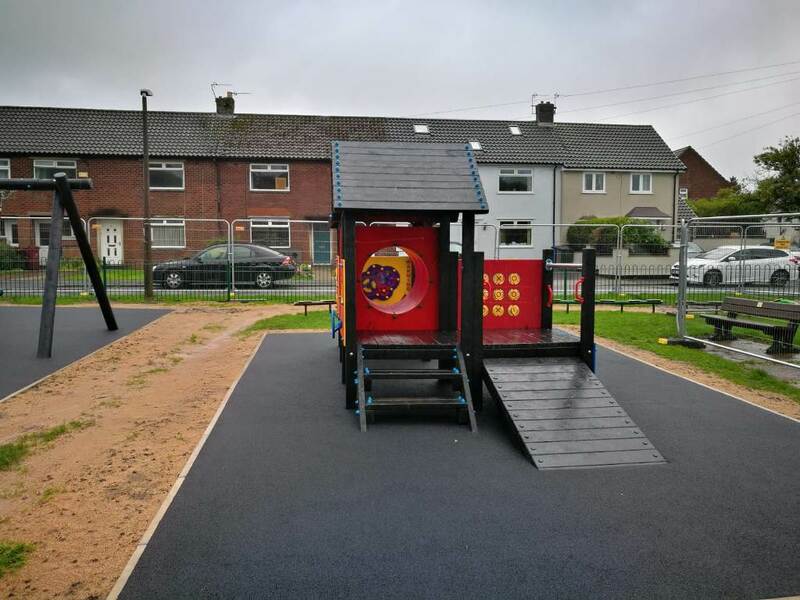 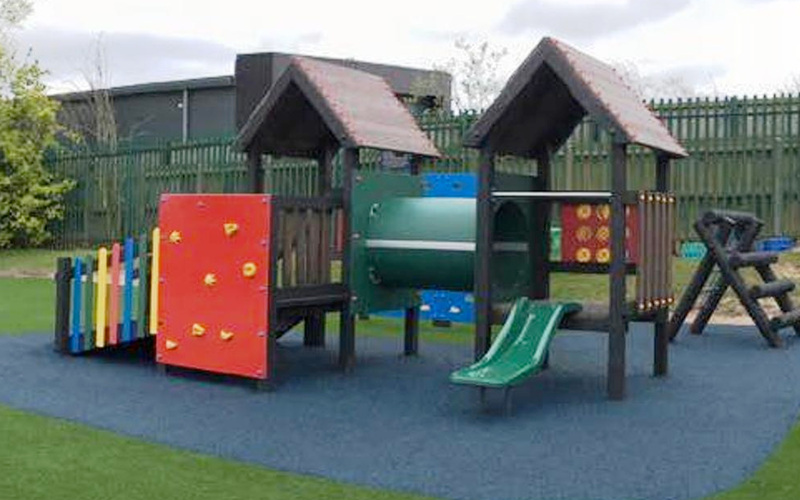 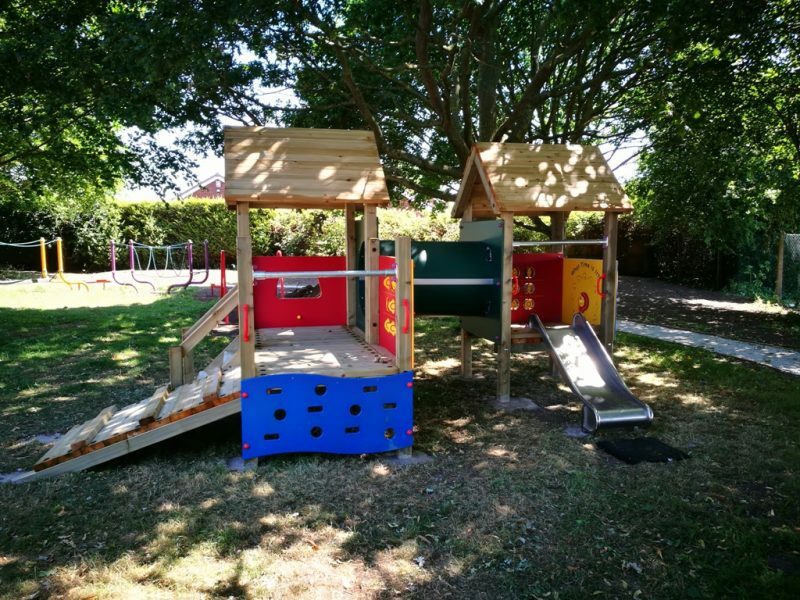 The Toddler Town is ideal for younger children, particularly in schools where there is not a lot of space available. 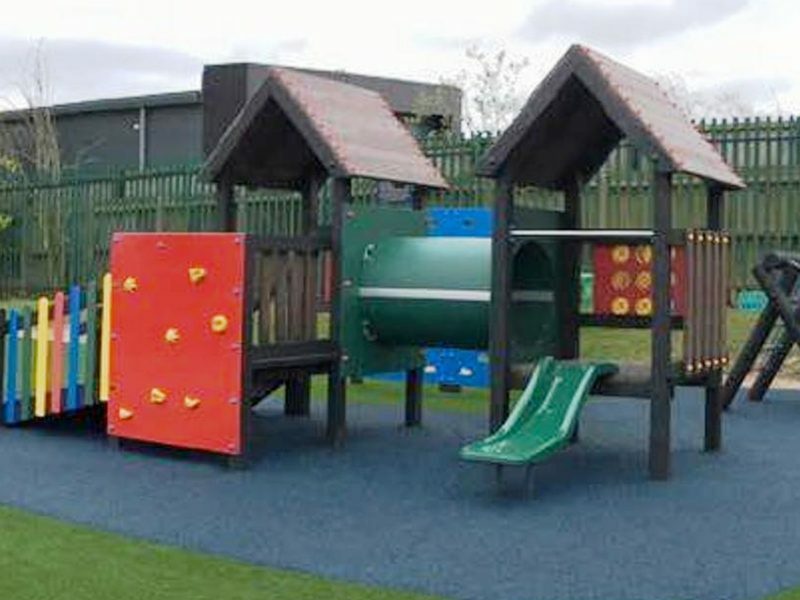 Also available with a Stainless Steel Slide if required (additional cost). 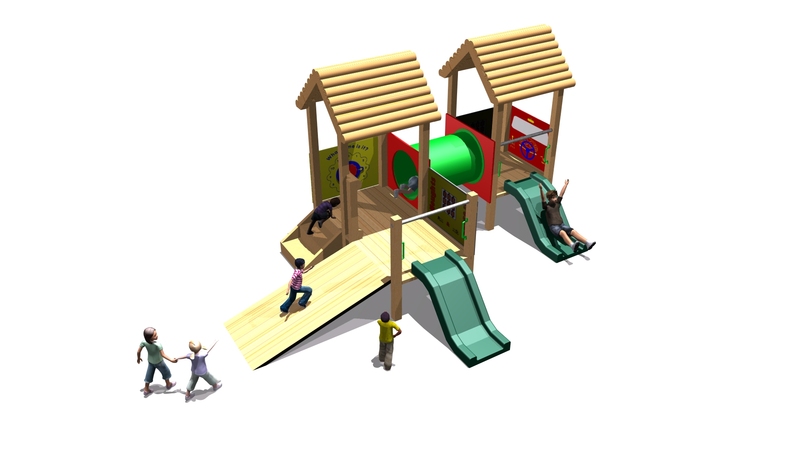 Item can also include a small climb wall to replace one of the slides if required. 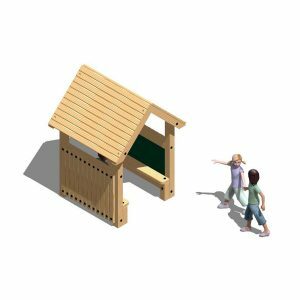 This item is available with either 600mm high or 1m high platforms. 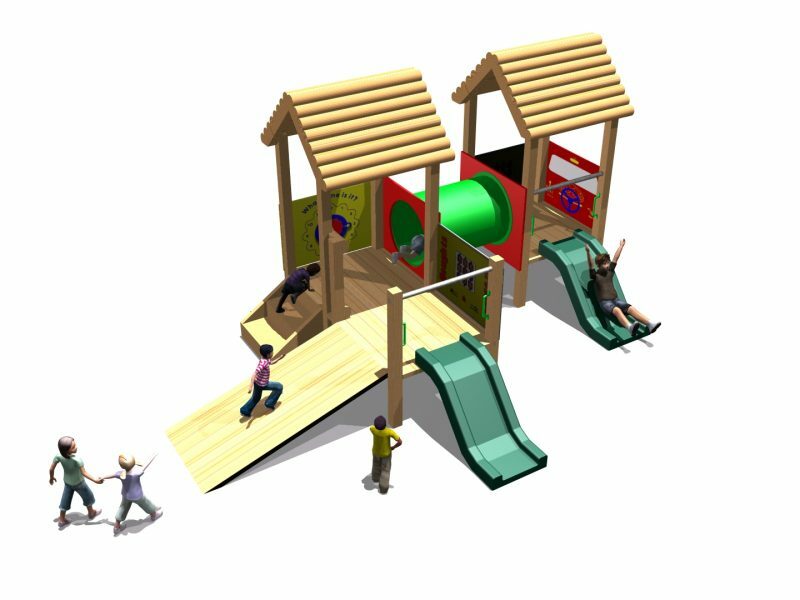 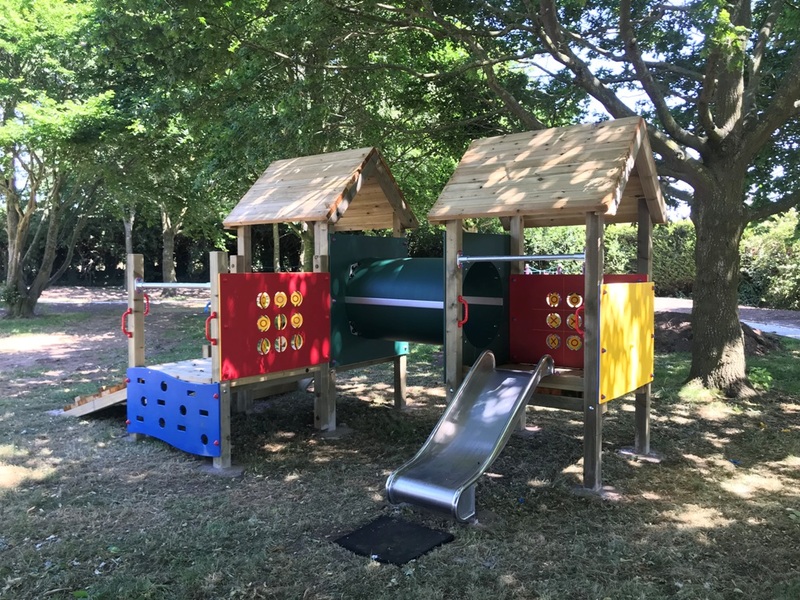 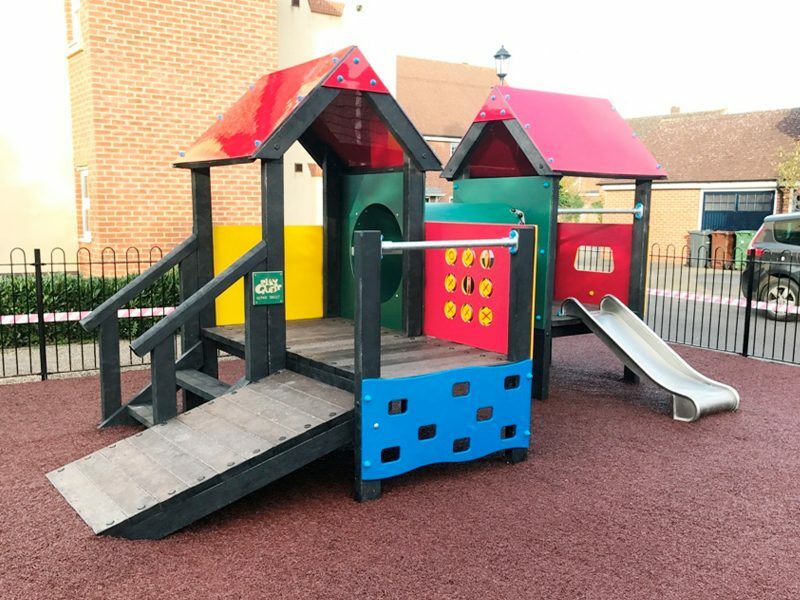 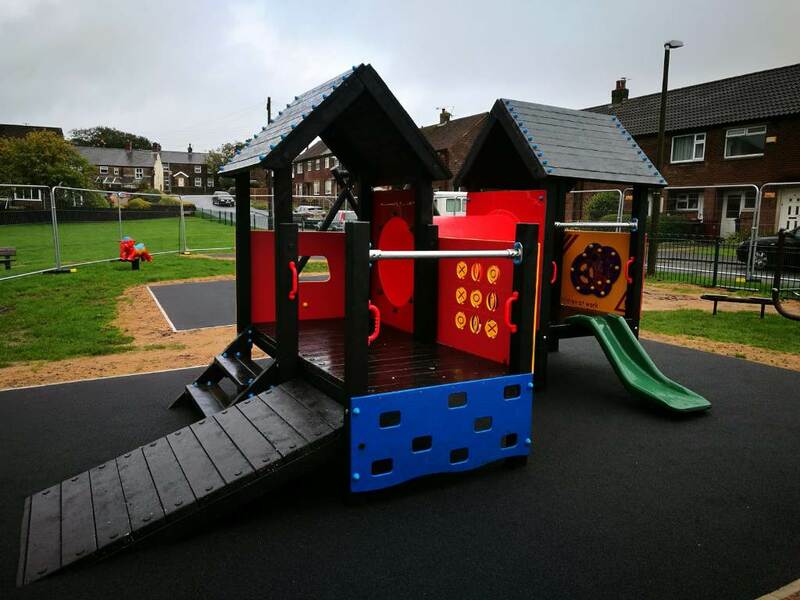 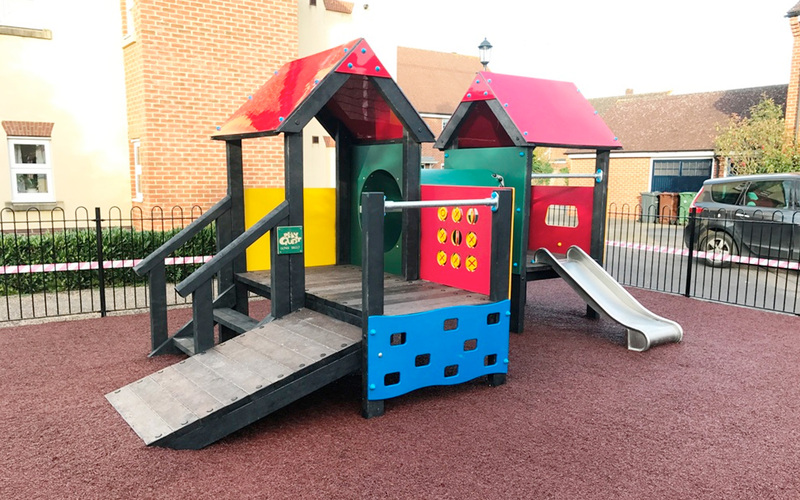 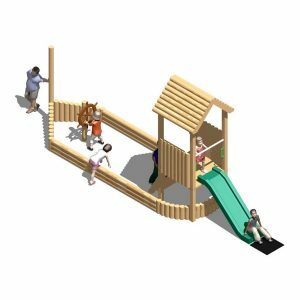 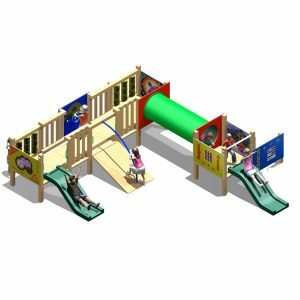 The Toddler Town is available in timber or recycled plastic.